Little is known about his life. His birthplace was listed as Jacksonville , but a recently acquired 1934 death certificate from the Milwaukee, WI area lists Newport News as his 1896 birthplace. According to one source, his real name was Arthur Phelps, although concrete evidence for this claim is lacking. The "Phelps" name theory was entirely based on a response given by Blind Willie McTell in an interview conducted in 1955 in Atlanta, who likely met Blake when he passed through McTell's hometown of Statesboro, GA.
His first recordings were made in 1926 and his records sold very well. His first solo record was "Early Morning Blues" with "West Coast Blues" on the B-side. 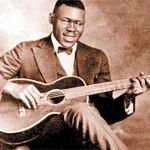 Both are considered excellent examples of his ragtime-based guitar style and are prototypes for the burgeoning Piedmont blues. Blake made his last recordings in 1932, the end of his career aided by Paramount's bankruptcy. 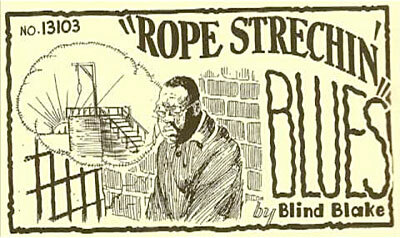 Allegedly, Blind Blake was drinking heavily in his final years. It is likely that this led to his early death at only 38 years old. 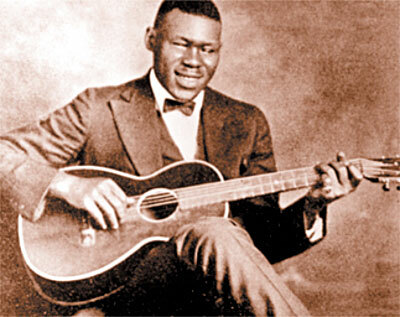 The exact circumstances of his death are not known; Reverend Gary Davis said in an interview that he had heard Blake was killed by a streetcar. 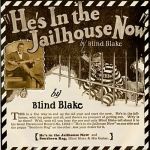 Blind Blake is a great player, a great musical figure," echoes Ry Cooder. "In the years where he was on top, he was fabulous. Blind Blake just had a good touch. He played quietly, and he didn't hit the guitar too hard. He had a nice feeling for syncopation. He's from down there in the Geechie country, and all those people have a real nice roll to what they do. He was a hell of a good player, and he had a lick that was great. And Blind Blake played all over the place, with all kinds of people, including Johnny Dodds, which is just way too much for me." "When he started to drink too much--you can hear it towards the end--it just doesn't work anymore," observes Cooder. "He's physically past it, because you've got to be sharp to sound that good."